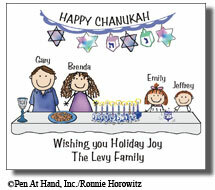 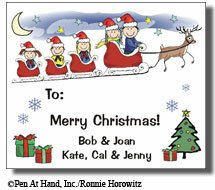 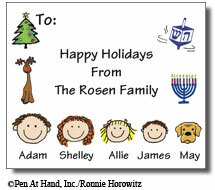 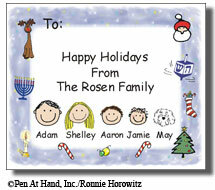 Personalized Stick Figure Christmas Gift Stickers and Chanukah Gift Stickers by The Personal Note. 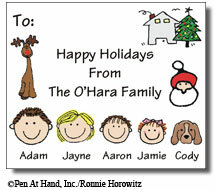 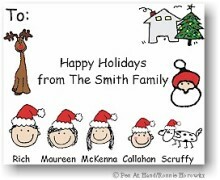 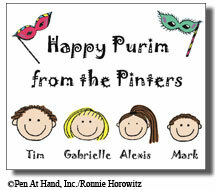 Use our Logo Sets and Character Faces to create your own special holiday sticker labels. 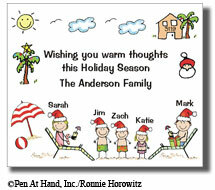 Stick Figure Design Copyright © Pen At Hand/Ronnie Horowitz All rights reserved. 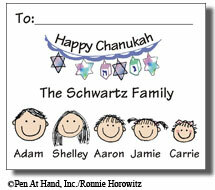 electronic, photocopying, recording or otherwise -- without the written permission of the copyright owner.